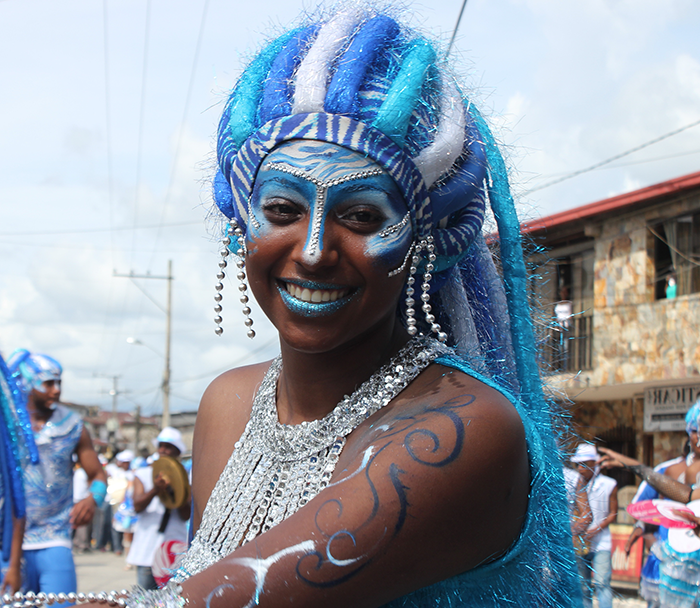 The San Pacho festival shown here is a celebration of Afro-Colombian heritage held every year in the capital city of Quibdó. Over three centuries, as many as a million enslaved people were shipped to the Colombian port of Cartagena. From this hub of the slave trade, European colonists took Africans to labor in many places across the Americas, including the gold mines of the Chocó region. Today, people from Chocó often proudly identify as Afro-Colombian, while those from the nearby city of Medellín largely identify with their European ancestry. Despite the differences between these groups, research by Conley et al. in the October issue of G3 highlights a subtle underlying unity. Like much of Latin America, Colombian people have a blend of African, European, and Native American ancestry. Previously, studies on Colombian genetic ancestry have focused on the Native American and European roots with less evaluation of African heritage, despite the fact that Colombia has the second greatest population of Afro-descendants in Latin America. Conley et al. set out to provide a detailed genetic picture of the Chocó region’s ancestry—and to compare it to other admixed Colombian populations. The authors recruited 100 individuals from Chocó and compared their DNA to known African, European, and Native American reference populations. They also compared the Chocó to people from Medellín. Chocó genetic ancestry is largely African (76%) with roughly equal amounts of European (13%) and Native American (11%) heritage. In contrast, Medellín genetic ancestry is predominately European (75%), with 18% Native American and 7% African contributions. These results largely agreed with the self-identification of these groups and with the known history of the areas, although Chocó individuals tended to assume a higher percentage of African ancestry than genetics suggested while those from Medellín assumed a higher percentage of European ancestry. Amazing. My DNA is almost exactly as article. I am 74% European, 15% native America Andean, 7% Native American, north, central and south and 4% west African. Beautiful mix. Very proud of results.